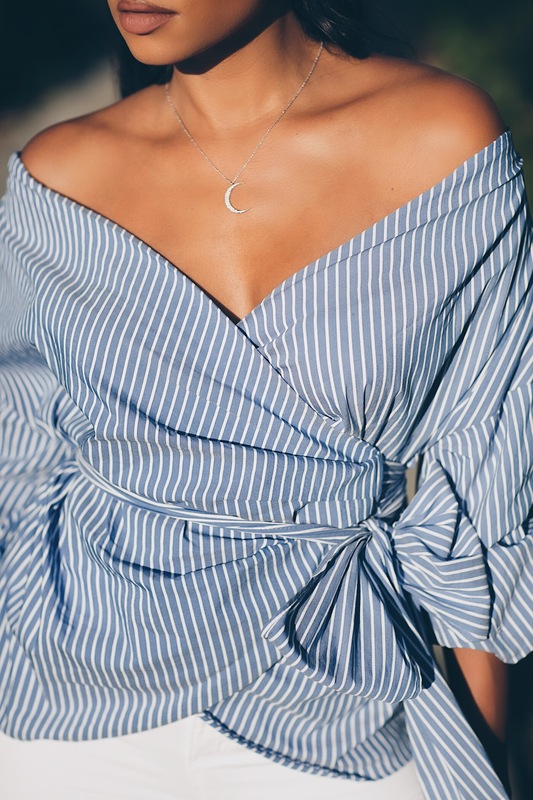 There’s No Summer without stripes! Ready to show your stripes this season? 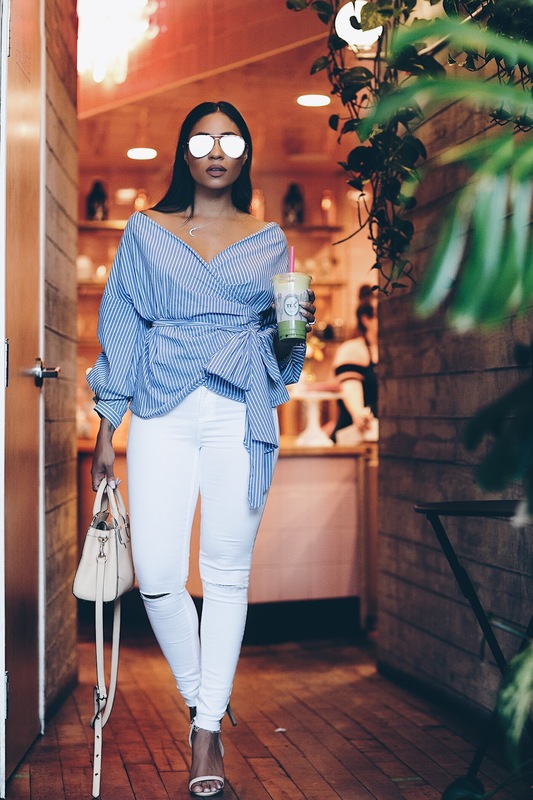 If it seems like blue-striped tops are in every store and all over the Gram, you’re not seeing things. 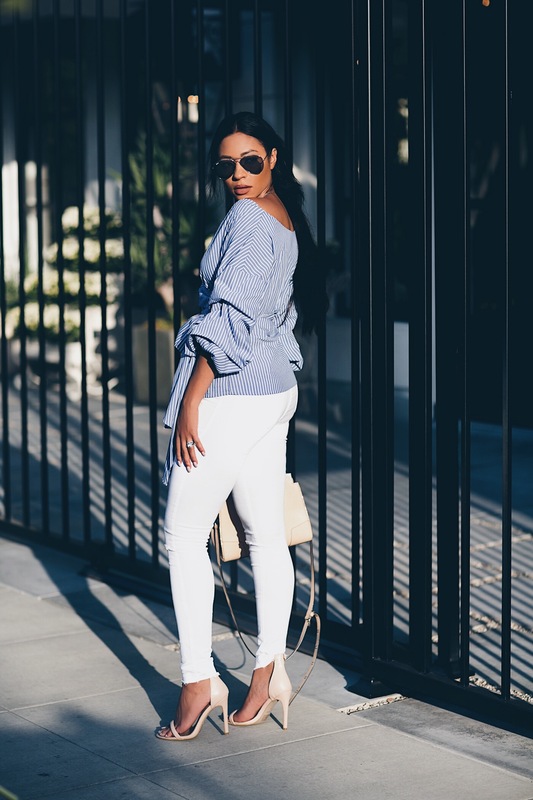 This trend trickled down from some of the top leading fashion designers to some of your favorite fast- fashion stores…right down to that color Blue. It’s the product of a perfect storm of influences and this print is angling for some serious space in your wardrobe! 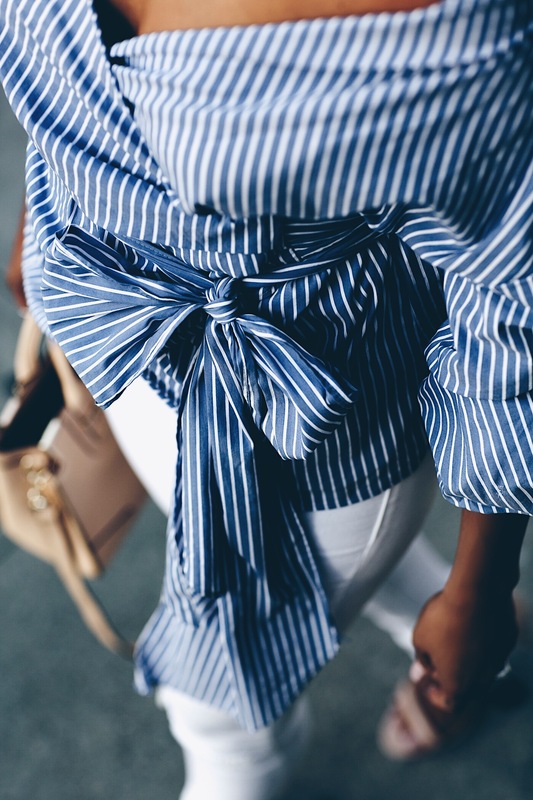 And why not – it’s familiar (we’ve all owned a striped button-up at some point in our lives), it’s versatile, easy to wear and style. Can you think of another universally flattering print that’s work- and play-appropriate, and looks this good with virtually anything else you throw on with it? 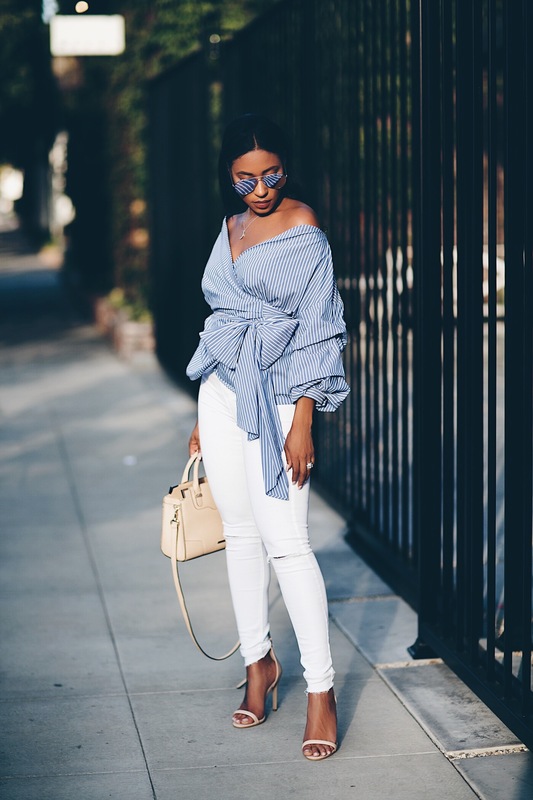 Ruffled, off-the-shoulder, and deconstructed versions of the classic striped shirt are everywhere and has become a major staple piece this season. Brands such as Zara keep re-imagining the striped shirt and there is something out there for everyone! 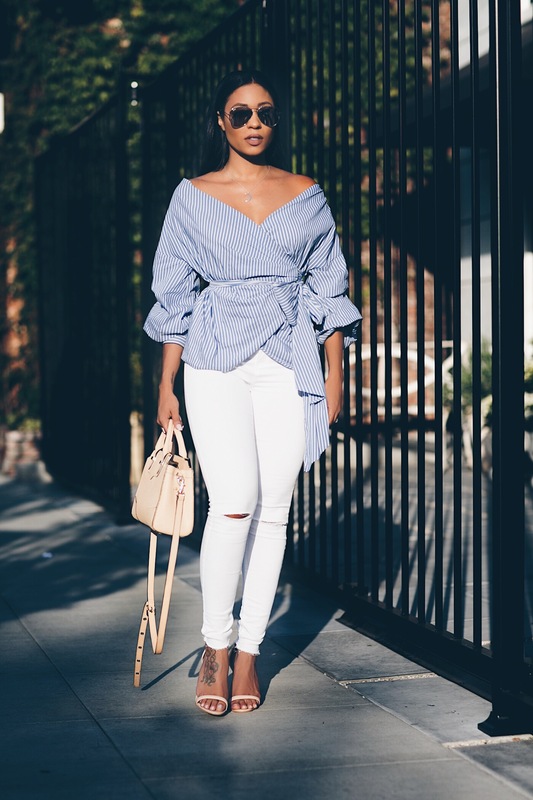 From voluminous, ruffled sleeves with a twist, to embellished prints, to bows and ties..Or maybe embroidered is more up your alley. Whatever your style is you’ll be sure to find it. 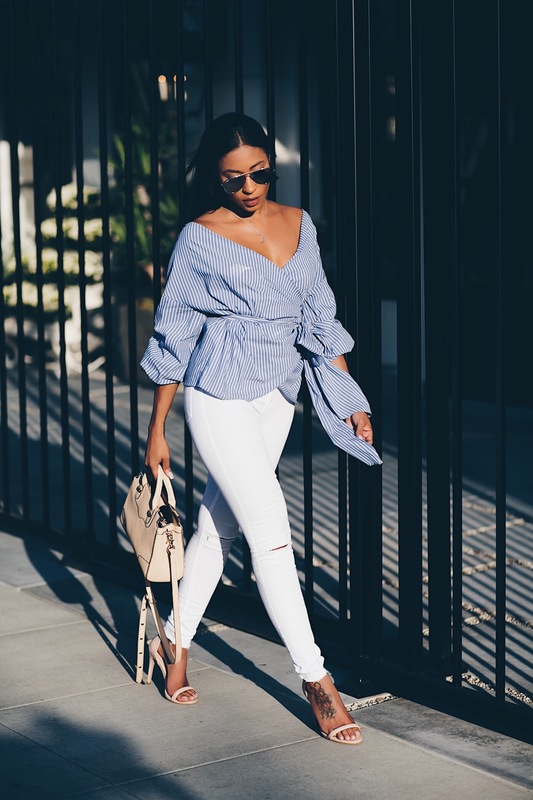 All of the above is exactly what makes it the bread and butter of what we’ve come to know as The Reformed Prep Covered up enough for work, but chic enough to wear literally anywhere. Whether you go nautical, ’70s, or technicolor, this print is here to stay and will never go out of style!